KERN RIVER DRY UP ~ Climate Change and the end of an era? By AaronErdrich and "Chicago" Toughill | DBP MAGAZINE ONLINE The World's Best Free Whitewater Publication. 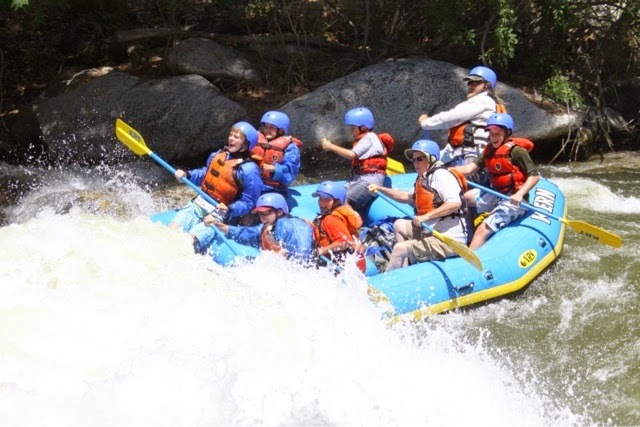 Joe Chesney started rafting the Kern River in 1979 at the age of 17, and after 20 years of guiding formed his own outfitter, Eagle Rafting, in 1996 in Kernville, California. 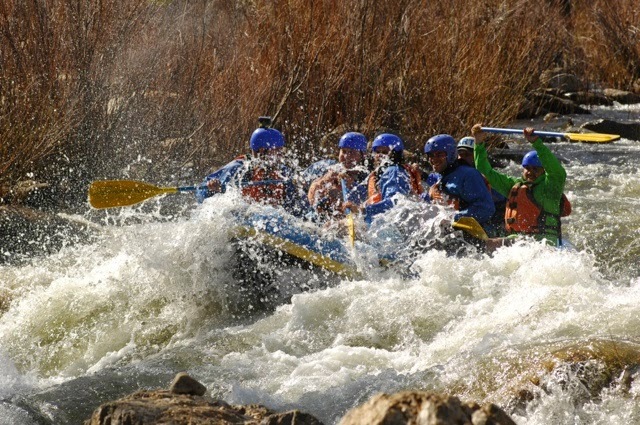 The Kern is home to 100 plus miles of commercially run whitewater and 6 other rafting companies. It is located in the far south region of the Sierra Mountains, beginning at Mt Whitney (fed by snowmelt from the highest peak in the continental US) in Sequoia National Park and running south to the farms of California’s Central Valley. Over the last few years the effects of climate change on the Kern and California overall have been drastic; the last three years the Pacific Ocean’s temperature change has blocked perspiration in the southern half of California. Meteorologist say it has been some of the driest conditions in the last 100 years. 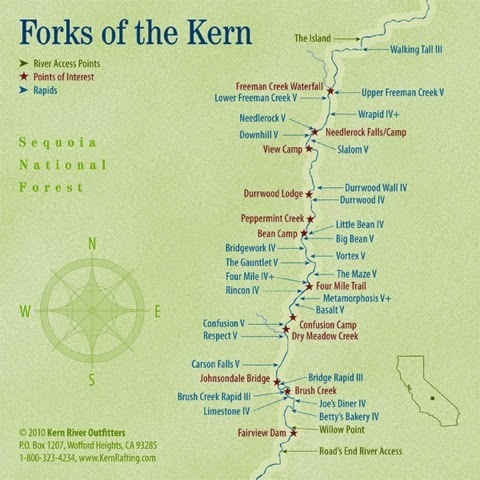 This has directly affected commercial rafting on the Kern. The last 3 years Chesney’s business has decreased by 70 percent. Some companies that have been open for the last 30 + years do not know whether they will open their doors for the 2015 season. 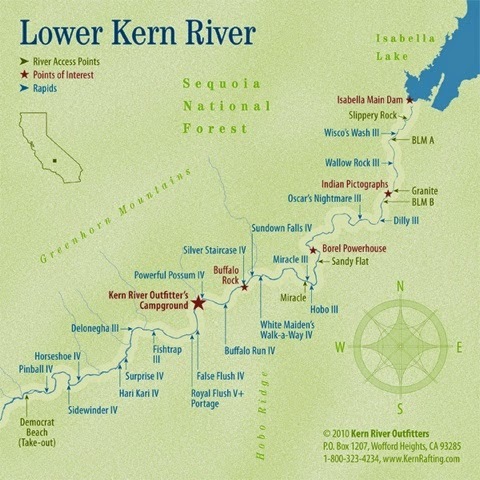 The future of the Kern looks more bleak when you talk about the lower Kern’s reservoir. The US Army Corps of Engineers is preparing to rebuild the dam, and until the project is completed in 2022, rafting will be affected. 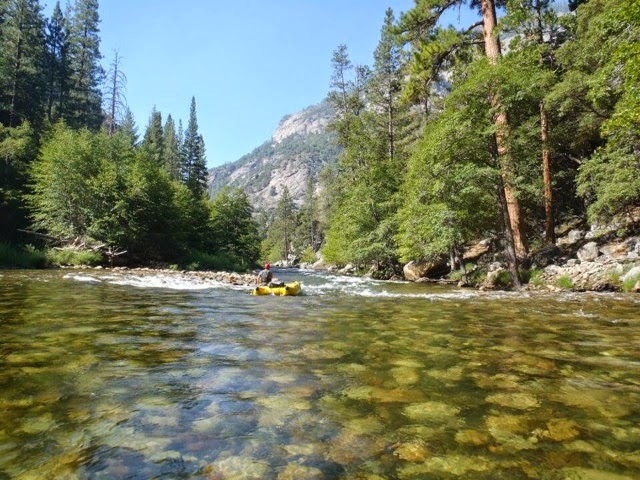 The levels of all stretches of the Kern, and for that matter most of the whitewater stretches catalogued on American Whitewater’s National River Database, are already listed as too low to run. Yet Chesney says he is excited for the 2015 season. He will be open and booking trips till June 1st, running with the snow melt. 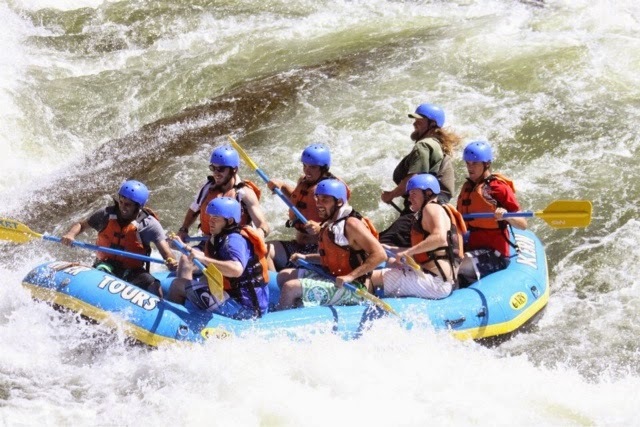 He says investing in small rafts and inflatable kayaks have made it possible to be open longer and he is glad that he had invested in them, otherwise it would be hard to run rafting trips at all. 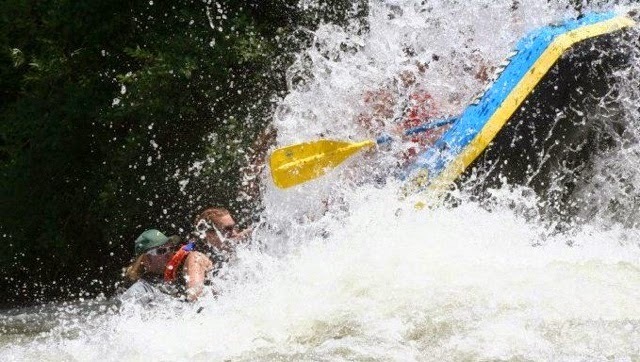 Chesney sums up the problems that his company is facing, and they are beating up everyone in the business across America: Rafting has become more expensive to do. Insurance has gone up. Take out fees have increased due to greed. The Public Utilities Commission has increased filing fees. Yet customers want a good deal, and the extra income that goes to outdoor fun has evaporated like the rivers in this economic drought. 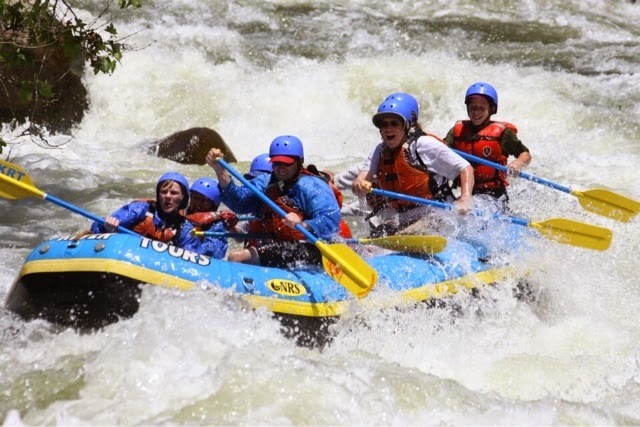 And when there is no water and the cost of rafting is increasing, it really puts stress on the companies. The Lake Isabella Dam is a major concern, not only for rafting but for the local economy as a whole. Work on the main portion of the earthen dam, which is over 60 years old, isn’t set to start until 2017. 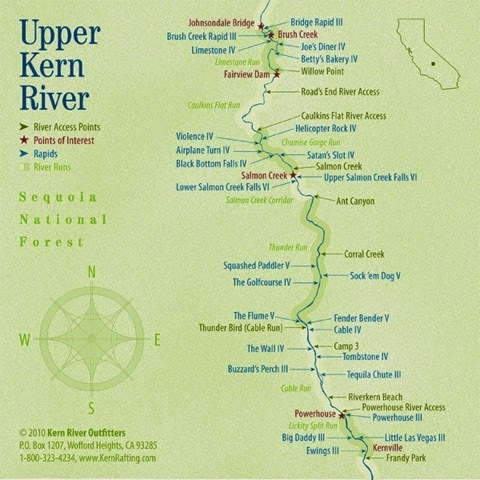 The entire flow of the Lower Kern, which is the most popular commercial section because of it’s former regular releases, is much too low for regular trips and may be for years. During the high water year of 2006 concerns about too much water seepage through the Auxiliary and Main Dams and an undersized spillway in the Main Dam drew much attention as the Engineers attempted (successfully) to draw down the level of the lake. 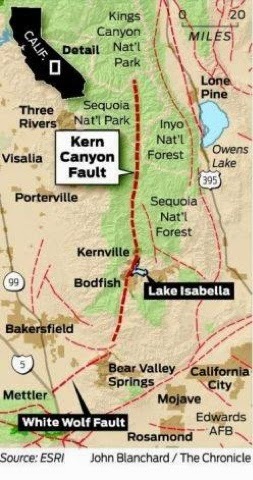 Failure would have meant a catastrophic flood in Bakersfield. Since then more earthquake faults in the area than previously thought have been detected. Isabella Dam is one of the highest-risk dams in the nation. The drought conditions have saved the local populace, but have sounded the death knell of the river. Gravy has taken a job at the local brewery (Kern River Brewing Company) and he will still be running rafting trips this season until the water runs out. When Aaron spoke to him in early March, he was optimistic about a peak of about 800 cfs – way below the averages of three to five thousand cfs in years past – saying that they had been getting some storms in the mountains and the snow pack was accumulating, but still about 60% below average. Unfortunately this optimism seems unlikely to play out. Although a nice winter storm spiked February flows up into the 600s, since then flows have been significantly lower than even 2013 and 14. The river is currently pushing around 200+ cfs, which translates to historically bad. Only massive storms, which in themselves could be catastrophic to the area, could help the river industry this season. These low flows threatened to stymie the Kern River Alliance schedule of summer kids’ program activities as well. 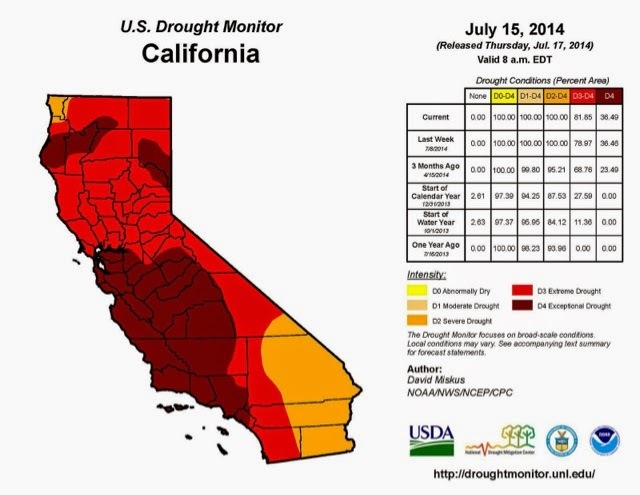 The 2014 season was cut short in late July because of lack of water. 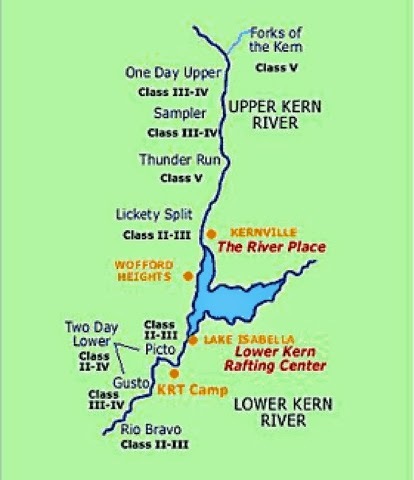 This year’s Kern River Festival, which had been slated to go later this month (April 18-19) has already been cancelled. What does this all mean? Well, for one, big water days like those seen in 2011 on the upper Class V stretches seem highly unlikely, at least for this year. And the outfitters will again have to tighten their belts and swallow their pride. The local guides must either migrate or find new work. 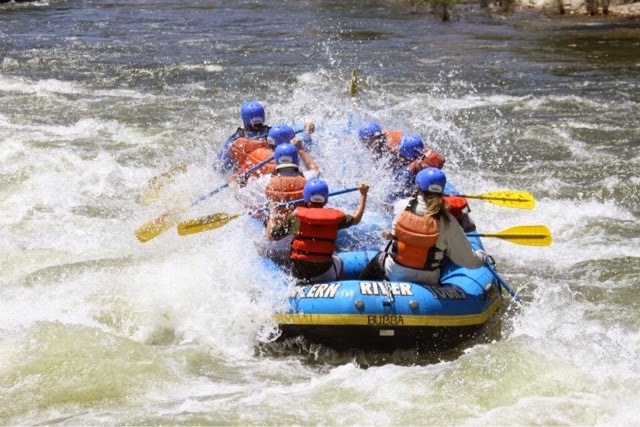 And the rafting customers will travel to other locations or move on to other pastimes. More than the Kern is drying up. The entire dirtbag community is taking a hit. All they can do for now in SoCal is pray, and do a rain dance. The only water hitting the watershed is the tears of the paddlers who love this unique river. 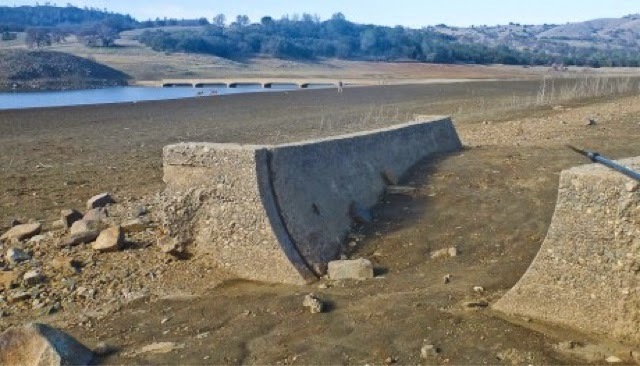 MSNBC photos of drought-stricken California. The info about the lake being drained by the Army Corps is false. The lake is low because of the drought. 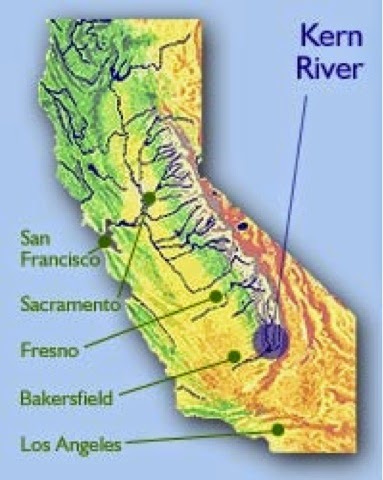 The same as all lakes in California that are not tied to the aqueduct system. Look at Folsom reservoir or Lake Oroville for a comparisons. 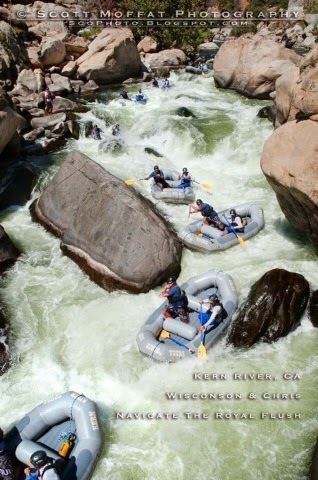 There will be rafting on the lower Kern when the drought ends. There is a maximum capacity limit imposed by the Army Corps. 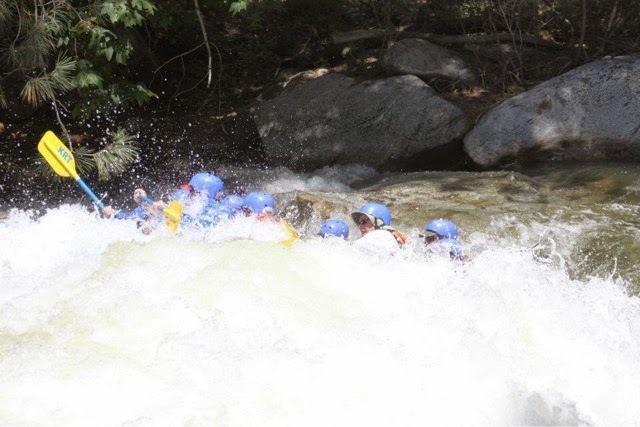 This is the same limit that was in effect during the epic rafting season of 2011. Yes we are suffering, but please stop spreading false information. Be sure to check your sources and info before posting. "The US Army Corps of Engineers have drained Lake Isabella down to extremely low levels to rebuild the dam, and until the project is completed in 2022, rafting will be halted." Hilariously inaccurate! John, the info we had referenced may have misled us, but it was not our intention to excaberate the situation. So we cleaned up the language, but the truth remains. The lake is dry, Cali needs rain, the dam is dangerous, and rafting and the local economy suffers. Fair. WALLACE on us. Fixed. Thanks for reading!